Nice SpecChem mention in the April/May issue of Concrete Contractor Magazine and ForConstructionPros.com from CT “Chip” Marshall, Vice President of Industrial Caulk and Seal in Delta, PA.
With a nod to Keith Fleming, our Regional Manager for the East Coast, and Mike LeMark, SpecChem’s Executive Vice President, Marshall highlighted our SpecLevel PCT as he discussed innovations in the evolution of polishable concrete overlay products. For more information, visit our Concrete Polishing System page. 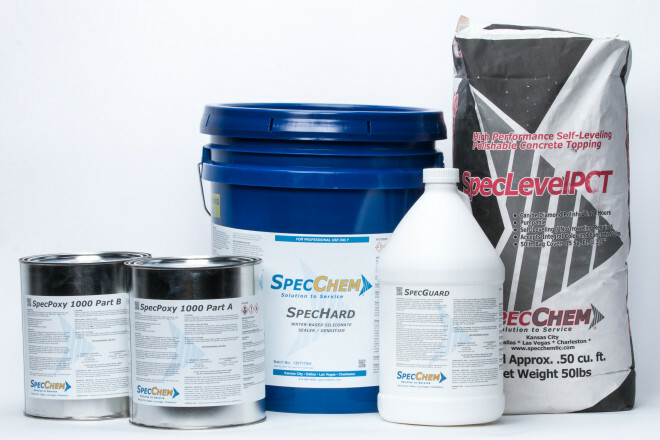 For more info on any of our SpecChem concrete construction chemicals, epoxies, or repair mortar products, please send us a note through our contact form, or simply call us directly. We look forward to answering your questions and providing a solution to your concrete construction needs.